The fact that whey protein is an excellent protein for your body is not a new discover. It is an absolute superfood that many nutritionists have recently listed as one of the top 10 foods that you can eat. Even Jonny Bowden in his book “The 150 Healthiest Foods On Earth” has a great section on whey protein powder and lists it as one his most suggested foods to eat. So first off, what is whey protein? Whey protein is one of the several protein factors found in cow’s milk. Through some processing methods we have been able to separate this protein and make it into one of the absolute best protein supplements that you can take. Now, before I get more into the actual benefits of whey protein I need to first make a distinction between different types of whey. Most people who eat whey protein and are hoping to get the maximum health results from it are, in fact, getting ripped off. The reason why is that they have been sold a marketing message from companies that are out solely for profit and do not have the consumer’s health in mind at all. Most of the whey protein that you find on shelves at supermarkets is ultra-processed at extremely high temperatures. This effectively kills any of the good enzymes and nutrients that are found in milk to begin with and destroys all of the great benefits that I am about to discuss. The enzymes found in whey protein are vitally important to getting the most out of the protein as they help aid in the rapid digestion of the nutrients. The other problem with most whey proteins on the market is that they are sourced from milk from grain fed cows instead of grass fed cows. Grass fed cow’s milk is so far superior to grain fed milk that many nutritionists agree that you cannot even accurately compare the two because they are so different in biological makeup. Raw grass fed milk is one of nature’s truly incredible superfoods who’s benefits are so many that I do not even have time to list them all. So as you can see, to get the most out of your whey protein it should be sourced from raw grass fed cow’s milk and be cold-processed which means that the whey is undenatured. This way you get the protein as close to it’s God-given natural state as possible which is at it’s peak of healthful benefits. The health benefits of whey protein in this article apply to undenatured grass fed whey protein not necessarily commercial store-bought whey as it is a dead and inferior protein. 1. Whey protein is an incredibly high quality protein that is easily absorbed and digested. Many proteins take awhile for your body to fully digest and be absorbed into your body but whey protein is quite the opposite. It is very easily and quickly digested and gives your muscles fuel extremely fast compared to most protein types. This is the reason that it is possibly the best post workout supplement available. 2. Boosts the immune system. Whey protein that is sourced from raw grass fed cow’s milk contains healthy living enzymes and bacteria that are excellent for your immune system. 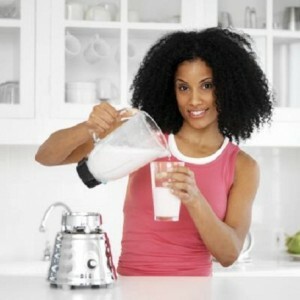 Many people take whey protein for the purpose of maintaining optimum health. I eat a very healthy diet and have at least 15-30 grams of whey protein every day and have not been sick in years. I actually cannot remember the last time I was sick and I credit it to eating these type of “living” foods that are minimally processed and contain enzymes and nutrients that maintain a healthy body. 3. Provides antioxidants. One of the greatest whey protein benefits is that it gives your body a natural boost of antioxidants. As I’m sure you know, antioxidants are a major part of your body’s natural defense system against free radicals. Antioxidants are your greatest defense of cancer as well. Whey protein contains glutathione which is often considered the “master antioxidant” and one that your body generally does not produce enough of on it’s own and must be gotten from within the diet. Whey protein from grass fed cows is an excellent of glutathione so you could be doing more good for your body than you thought! 4. Excellent omega 3 to omega 6 ratio. These are the fatty acids that are essential to life. The problem with much of our western diet is that are foods are very unnatural and contain an out of balance omega 3 to omega 6 ratio. Most people are already aware of how important omega 3 fatty acids are for your health and wellbeing but most people have never heard of omega 6. Omega 6 are a more inflammatory fatty acid which sounds scary but is essential to life. The problem only lies when we eat foods that are unnatural and have too much omega 6 in them. Whey protein contains nature’s perfect ratio of these omega fatty acids. I should make another note here that I am only talking about grass fed whey protein because grain fed cows are their milk contain the unhealthy ratios of amino acids. So stick with grass fed and you will get this whey protein benefit as well. 5. Improved health of the gastrointestinal tract. Again, raw grass fed whey protein contains good bacteria that acts as a probiotic in your stomach and can help to maintain and even repair the health of your intestinal system. The FDA has often condemned raw milk because it contains bacteria but the problem is that they never differentiated between good bacteria and bad bacteria. And the raw milk from grass fed cows contains good bacteria that is excellent for your insides and will help keep your stomach in excellent condition. Also, if you are lactose intolerant you should have no problem eating whey protein or even raw grass fed milk for that matter. Most people who are lactose intolerant are actually only intolerant to highly processed pasteurized milk. However, raw milk that has not been ultra-processed actually contains excellent digestive enzymes that help you digest better. On a personal note my wife was told by several doctors that she is lactose intolerant, however, she is able to drink raw grass fed milk without any intestinal problems and we feel it is actually helping to heal her stomach. 6. More energy. Due to the fact that your body can so easily digest and use this amazing protein you will naturally feel more energy simply by consuming whey protein. If you feel sluggish after eating certain foods it is likely because the foods are unhealthy or highly processed and make it hard work for your body to digest. Not to mention that they probably have very few nutrients that your body can use so your stomach is having to work hard breaking down a processed food for no benefit. However, whey protein is very easy for your body to digest and also provides you with many vital nutrients to give you sustained energy. 7. Whey protein is a “complete protein” or “perfect protein”. What this means is that whey protein contains all of the essential amino acids necessary for your body to function and survive. It is one of the rare proteins that actually consist of every single essential amino acid which makes it an excellent choice for a protein to eat. 8. Aids in weight loss. Again, this is just one of the great whey protein benefits that is almost a culmination of all of the above benefits. Since whey protein is such a biologically available and naturally complete protein your body can use is easily to fuel itself. Whey protein is easily absorbed to help rebuild muscle and muscle feeds off fat. If you want to burn fat you must build muscle. You don’t have to get all big and bulky because lean muscle is actually the best fat burner you can find for this purpose. Since whey protein helps build lean muscle your body will naturally start burning fat on it’s own. Again this is another reason whey protein is such the best post workout supplement because it rebuilds the muscles that have been broken down in your workout. I could go on and on about the benefits of whey protein but I think this will suffice for now. To recap, do yourself a favor and find a grass fed undenatured whey protein so that you get all of the amazing benefits from whey protein.